In 2006, Morgan was crowned Miss Oklahoma Teen USA and in 2010, she won the title of Miss Oklahoma USA—both on her first attempt. During her Oklahoma USA pageant experience, Morgan was awarded Best in Evening Gown, Best in Swimsuit, as well as the Mentor Award, voted by the teen contestants. Morgan placed in the top 15 at Miss Teen USA 2006 and was 1st runner-up at Miss USA 2010. After Miss USA, Morgan continued working for modeling agencies across the United States and around the world, appearing in various national ad campaigns, including features in Cosmo Girl, Seventeen Magazine, Teen PROM, and Teen Vogue to name a few. Morgan has also showcased her legendary catwalk on the stage at New York Fashion Week, and has widespread experience with red carpet corresponding, event hosting, and working with the local and national media. Upon her return to the U.S., Morgan completed her undergraduate degree, earning a Bachelor of Arts in Mass Communication, with an emphasis in Sports Media. 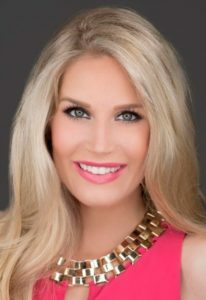 Morgan played collegiate volleyball, and also assisted her university as a columnist, a sideline reporter, and as an on-air personality for KCLC radio. After graduation, Morgan married Brian, and a couple months later, they moved to the United Kingdom to serve on the mission field for two years. Together they aided their local community in many different facets, mentoring inside and outside of schools, working mostly with young people, as well as families from a broad spectrum of socio-economic backgrounds and nationalities, including refugees and asylum seekers. Morgan considers these experiences to be among the greatest honors of her life. During her time abroad, Morgan spearheaded the first young women’s conference in her area, which has now become a thriving, annual event. She simultaneously attended graduate school full-time online, receiving a Master of Arts in Christian Ministry. Though having taken a break from academics during her transition back to America, Morgan has reached the midpoint in also completing a Masters of Divinity in Theology. She endeavors to finish this degree sometime in the near future, as well as realize her long-time dream of becoming a published author. She deeply enjoys encouraging the next generation through public speaking, and does so at conferences, churches, and school events whenever available. Her favorite pastime by far is traveling—Morgan has visited over 30 countries. While she has cherished all of life’s adventures thus far, the one adventure Morgan is looking forward to most will be arriving in March 2017 when she meets her precious baby girl and becomes a mother for the first time.